Ellume is a company created by Elisabeth Luu, centered around sustainability and natural living. I get so excited when I get the chance to work with entrepreneurs whose passions align with mine, and working with Elisabeth was no exception. She has an exciting history of working in the sustainability space (even including working with Jane Goodall! ), so she wanted to create a company that could help spread her passion and message. Since I'm also working on an Earth sustainability project, Elisabeth and I connected on this shared passion, and I was honored to help her bring this brand to light. She has great things planned for the future, so I highly recommend checking out her site! I created the mood board and color palette for Ellume to encompass the different elements of her brand adjectives, and also incorporates the colors she absolutely loves. I selected hues that feel very natural, earthy and connected. With her name, Ellume, I wanted to make sure we used some form of yellow for the way it made me think of the word, 'illuminate'. I loved the way this softer and rich yellow look with the rest of the palette and also gave the impression of a luminescence in the brand. I selected some softer grey-blues to complement the yellows and brought in some sage and sea foam greens to round out the palette. These color choices were soft and airy, yet earthy and strong without being too bold. I noticed with the references included on Elisabeth's brand homework that she was drawn to the light, crisp and flowy visual aesthetics. So I chose to included a lot of white space in the mood board to indicate my direction for the website and branding elements. I wanted to keep things feeling fresh and light, while remaining true to earthy/nature roots. When I first met with Elisabeth, she had an existing logo that she wasn't totally in love with. While the previous logo connected with her personally and was hand-drawn, there were a few problems with the legibility of it (with white text on top of a yellow circle, the design was difficult to read). We wanted to keep the hummingbird concept because of the personal connection, but we decided to rework the text and design itself. The font on Ellume was hand-drawn because Elisabeth had a very specific idea in mind for how she wanted it to look. Since there weren't any fonts that fit perfectly, infusing a modern and 'anthropological' feel, I created a custom text font that was ideal for Ellume's new brand. The yellow texture inside the hummingbird was something that I had fun creating by hand with paper and watercolors. I loved the opportunity to be able to whip out my art supplies to create a truly custom and hand-made logo, and this method fit perfectly with the new design. For the child brand, Ellume Naturals, which offers serums and various products, we created a separate logo that ties in with the master logo. For the collateral items, Elisabeth wanted two common print items: business cards and letterhead design. We created a square design and kept things simple, with the text and design in gold on top of a navy blue paper. Since Elisabeth offers a special serum product, she needed new labels for them to match the new visual branding. We created a beautiful, simple gold label with a clear background to go on top of the brown bottles she carries. The result is stunning, and really elevates the brand with these small gold touches. When I first met with Elisabeth, she had a Squarespace website that she had created on her own. 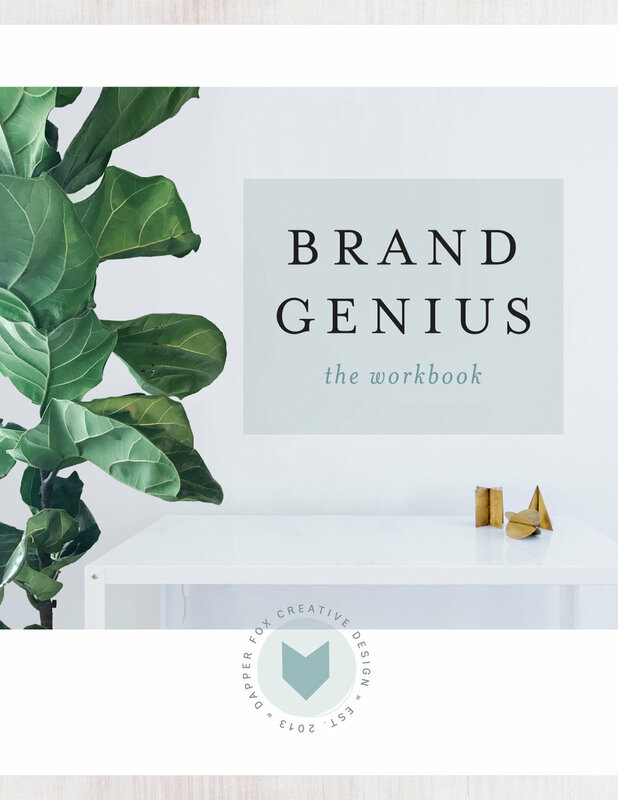 She realized that it didn't match her grand vision of what she wanted her brand to look like, so she reached out to me for help. As many of you know, I'm a huge fan of the Squarespace platform because of how easy it makes things for business owners. Knowing that she wanted to blog regularly, this aspect of the SS platform was very important to Elisabeth so that she could comfortably update her site and blog on her own. Her website also features a special shop section which she is going be expanding in the future. I love the way her website design utilizes lots of bright, white space to create a luxurious and clean feeling. Having custom photos taken before we started the project really helped to elevate the mood of her site while giving it a very personalized feeling (plus, I'm in love with her garden and kitchen decor- gorgeous!). Take a peek at her new site in the photos below, or visit it at EllumeLife.com. "As a new entrepreneur with prior years of PR and branding background, I knew I was pretty picky and had a very specific sense of aesthetics and content vision in mind and had searched high and low for the one designer. Ali Wright was definitely the one! Not only did she just “get” what I was looking for, she was also extremely professional, knowledgeable, and innovative, giving me creative ideas and solutions I couldn’t see myself when faced with some of the challenges of designing and creating a new brand look and website. 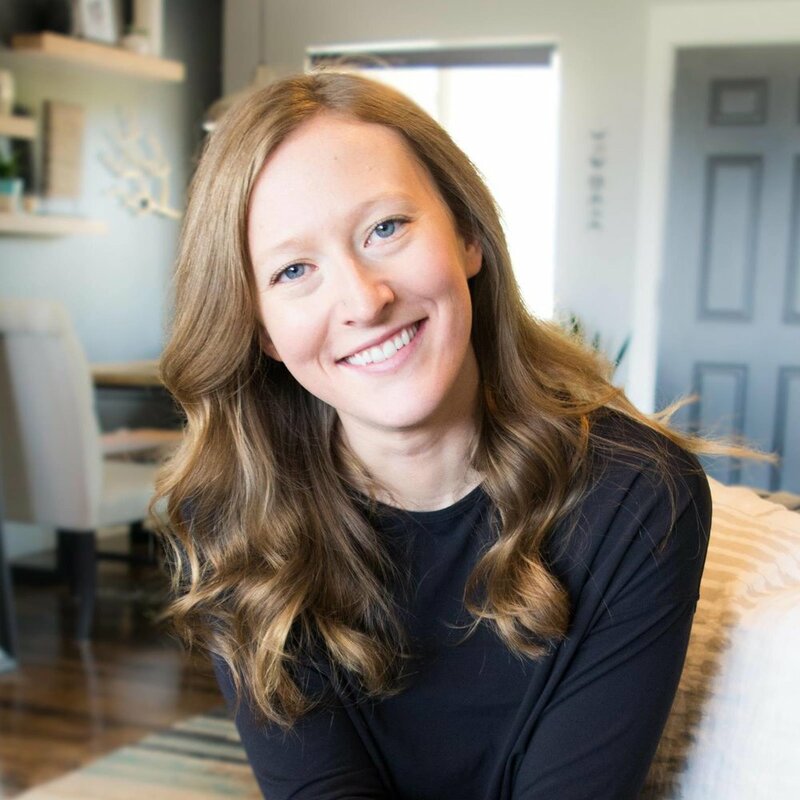 Ali was the 3rd designer I hired, but was finally the one who helped me take my brand from what it was – from “just okay” to “WOW”, as some of my colleagues and clients tell me. What I didn’t realize was that once Ali helped me solve some of the design and branding challenges, other things such as analytics, organization, archival, etc. fell into place as well, setting me up for an easier platform for successful business habits. As business has grown, and as busy I’ve become since starting work with Dapper Fox, I feel so fortunate to have found Ali, whom I can call “My Designer” for all my design and branding needs."